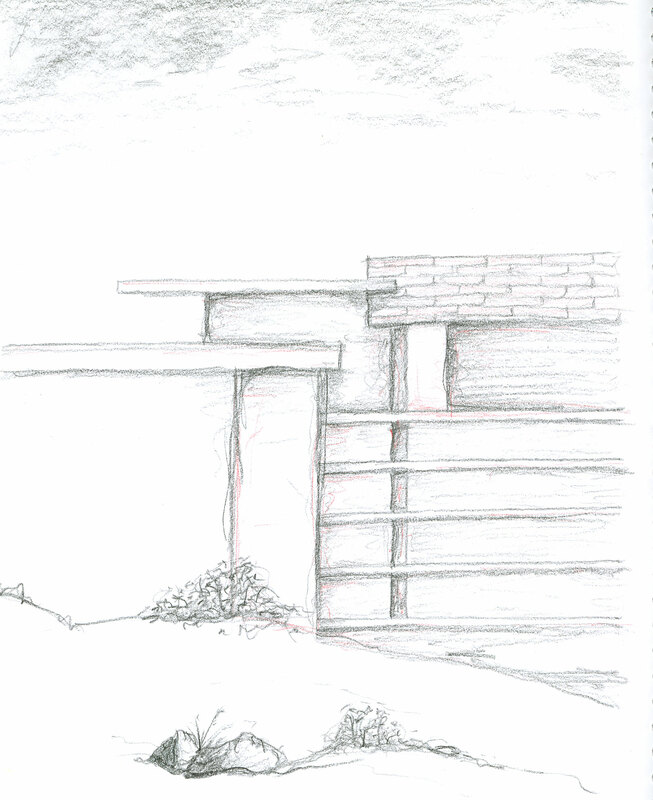 Aa artist I am not, but I do often sketch things I'm building. 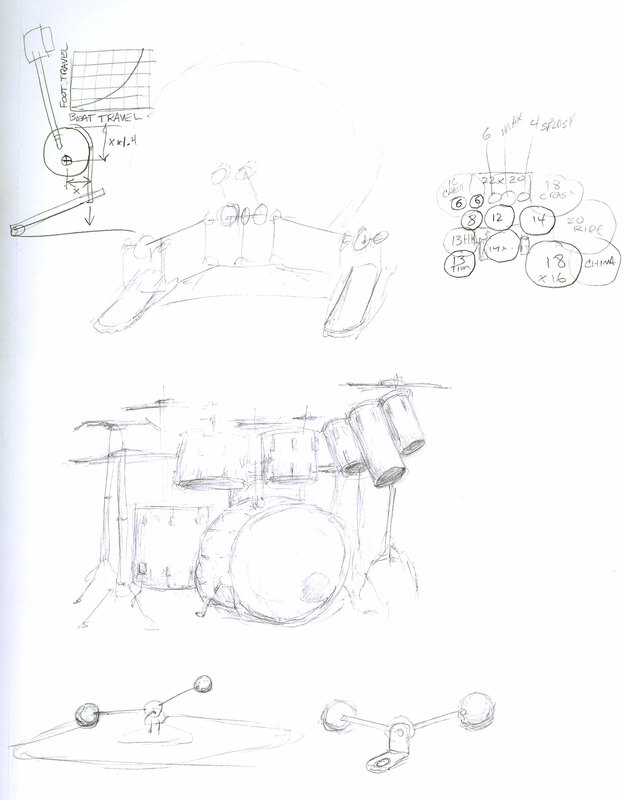 I have many notebooks with technical drawings of robots, synthesizers, etc. The drawings here however were done mostly for fun. Many of them are from school days decades ago, but a few are modern. 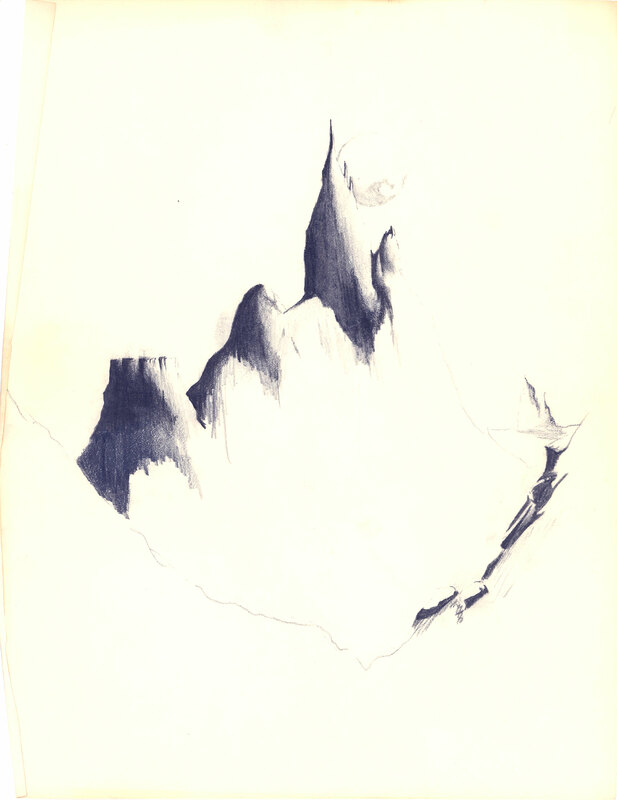 Drawing does not come natural to me. I have to work and concentrate, and I don't consider it enjoyable. That might be the reason I can never keep interest long enough to finish. Maybe one of these days I will take the time to just sit and draw, and try to improve. These are mostly in date order, starting at around 3rd grade. 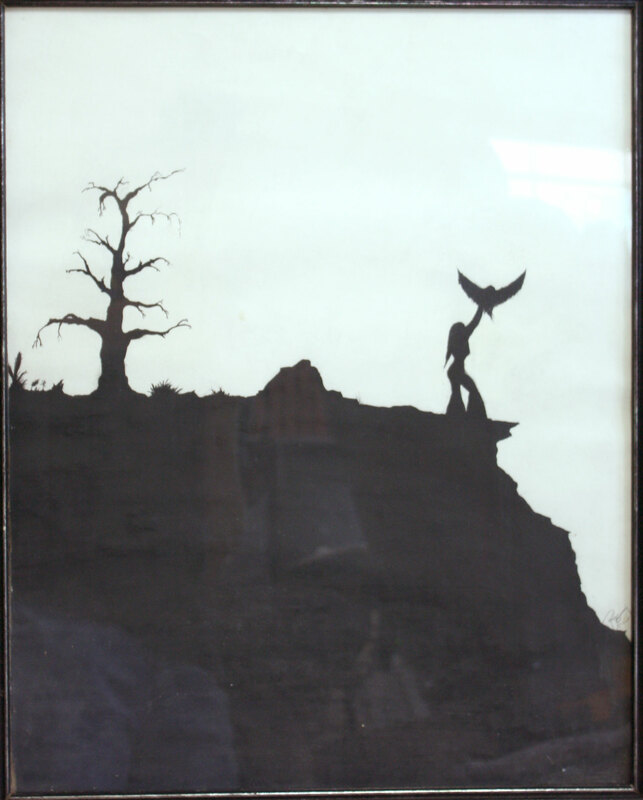 This is an ink and watercolor from 3rd grade. 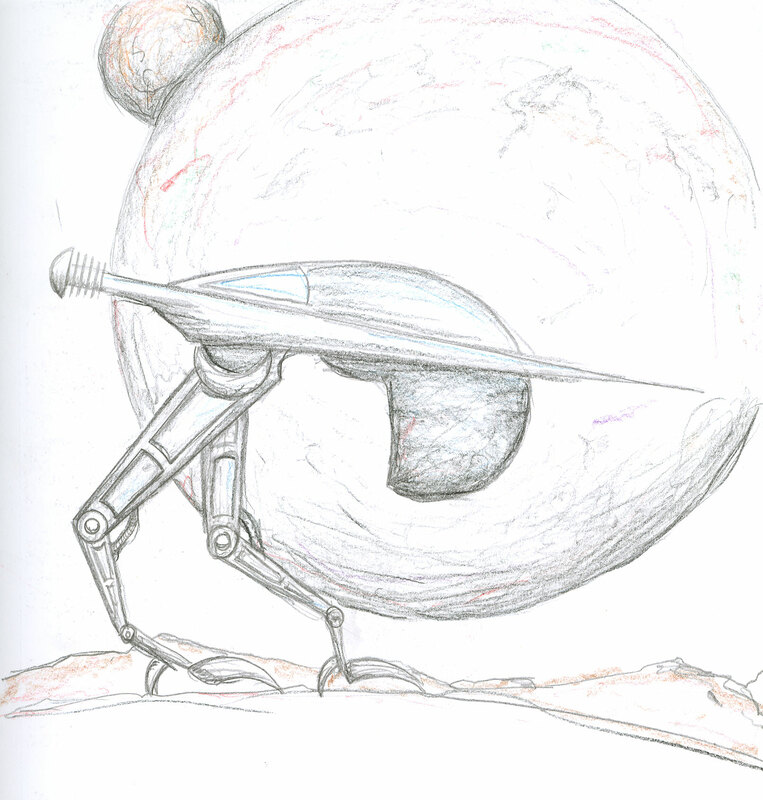 I drew this somewhere around age 10. 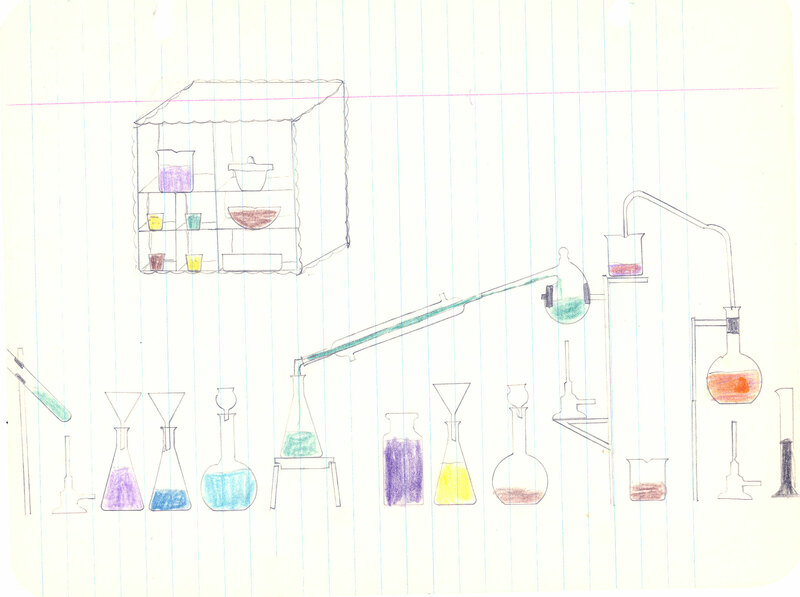 I used a plastic template that had all of the various laboratory glassware items. I drew dozens of these and still have many. This is probably around age 10. I don't remember what it was suppose to be - some sort of computer thingy. 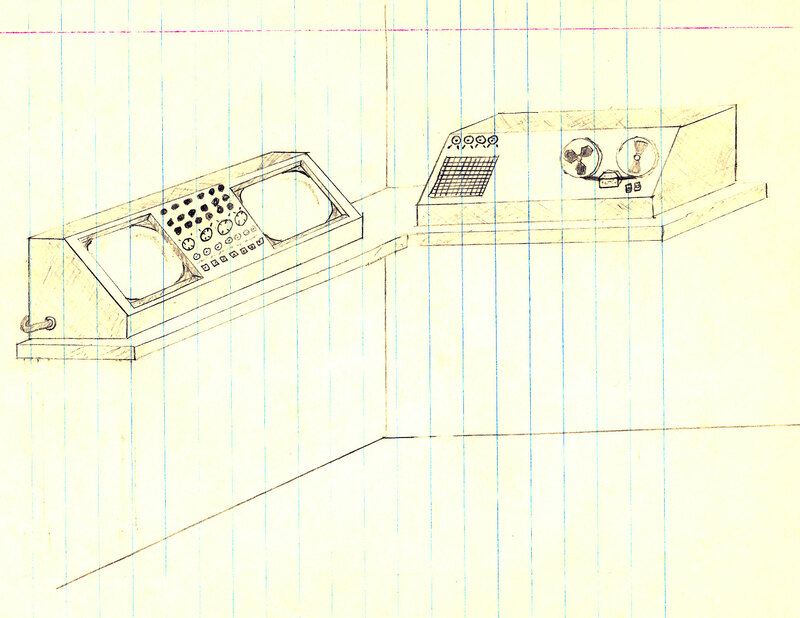 This is a sketch of a rocket launch control panel I did when I was around 10-12 years old. 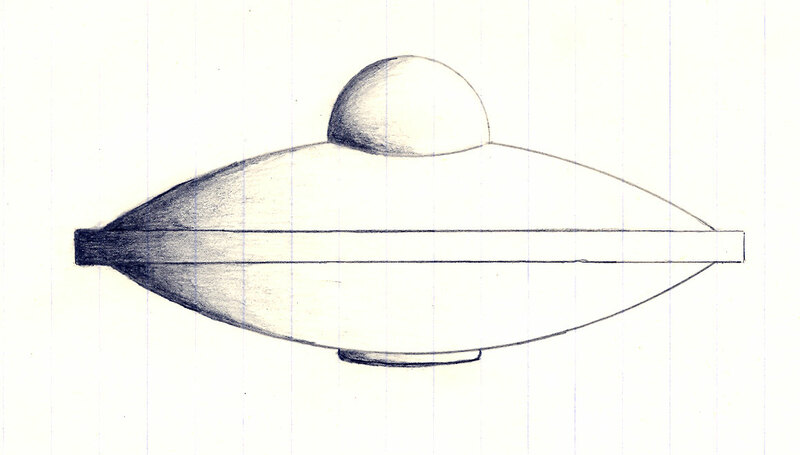 I remember drawing a bunch of these UFOs in different styles in Jr High. 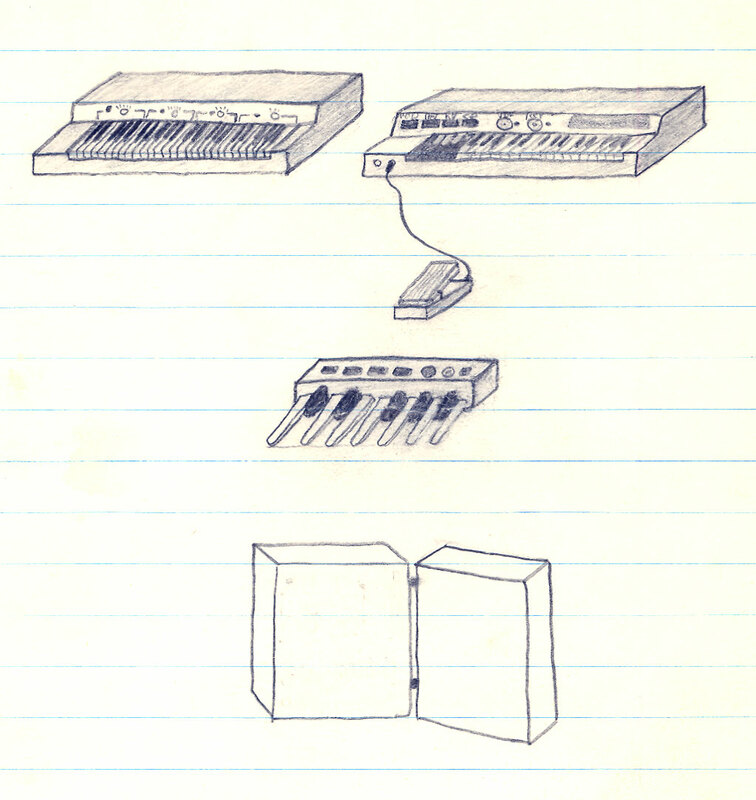 In the mid-70's I got really interested in synthesizers and it inspired this drawings and others. Around age 15-16. This came from a dream. I can never capture them perfectly, even if I would stay put long enough to finish them. Probably age 16-18. 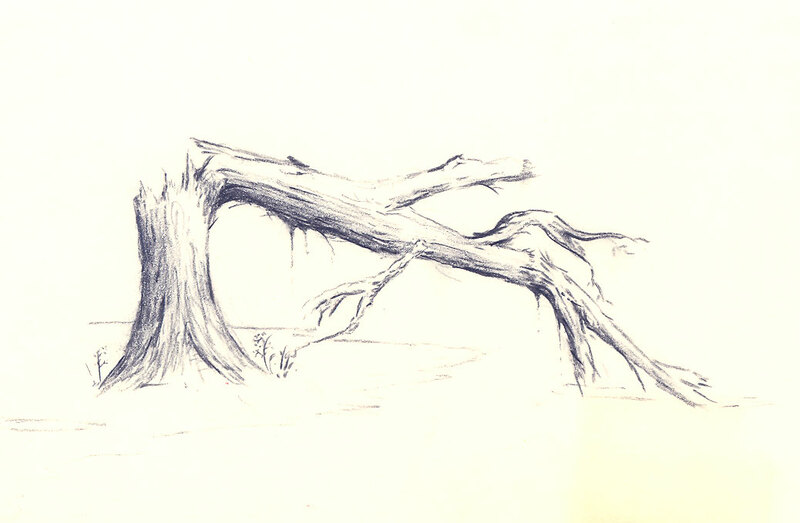 Here's another drawing with the typical "unfinished" feature. 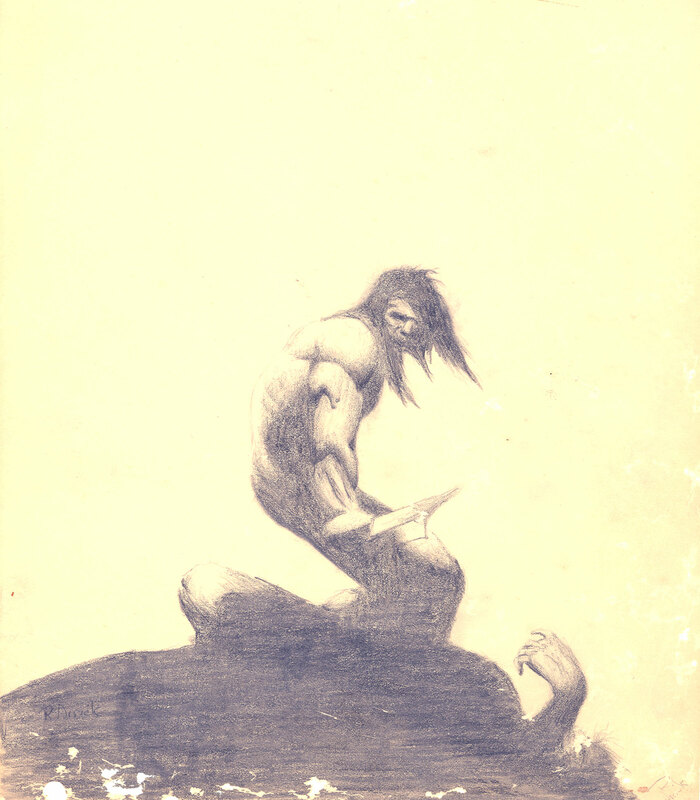 This is a pencil version of Frank Frazetta's Bloodstone painting. I was around 15 or so when I did this. 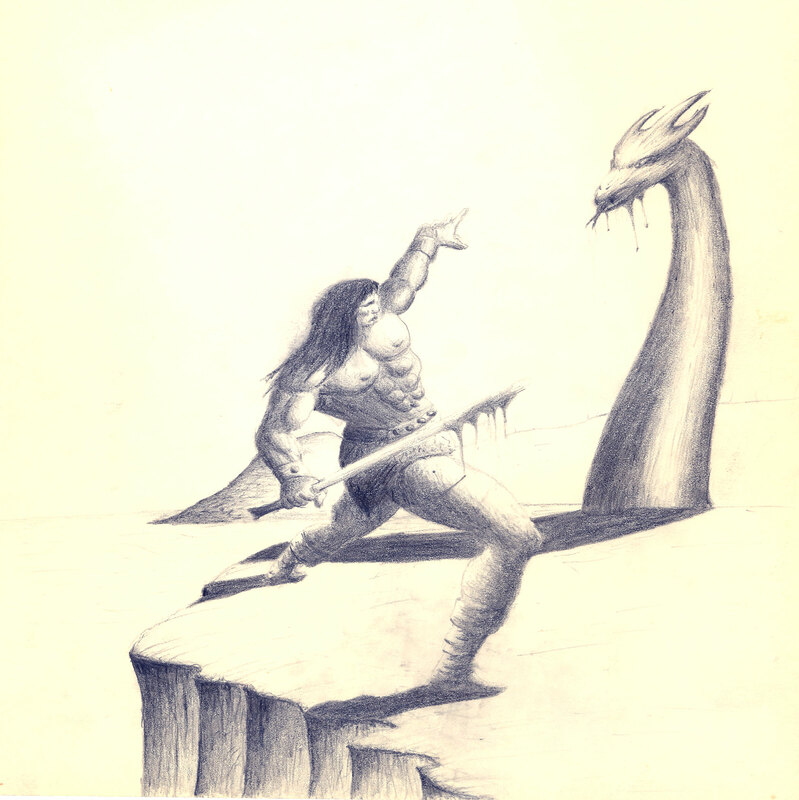 This is a pencil version of Frank Frazetta's Tanar of Pelucidar painting. Age 15-ish. 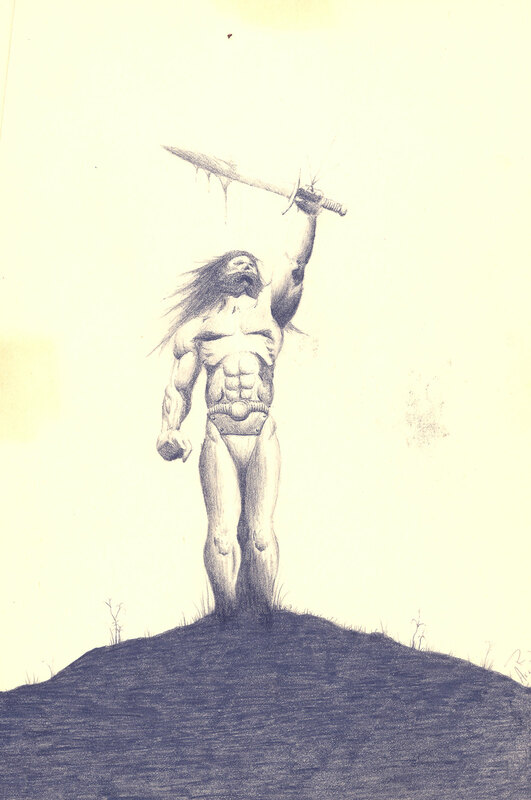 Yet another attempt at a pencil sketch inspired by Frank Frazetta. I think this might have been inspired by a sci-fi book cover. Age 15-ish. 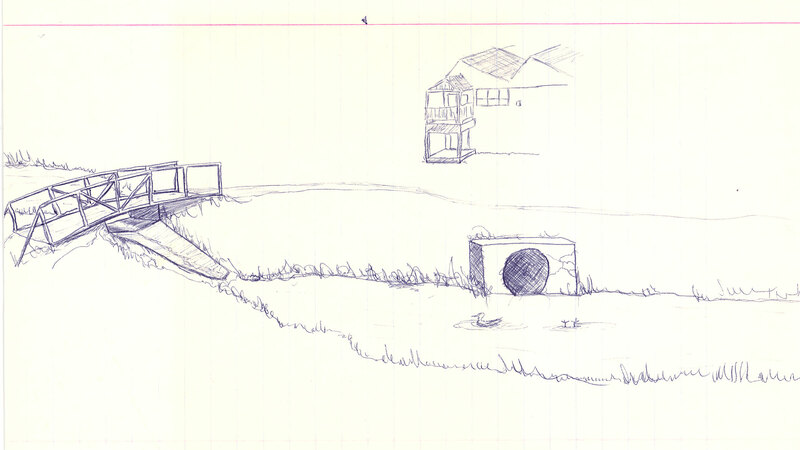 Typical high-school era drawing. 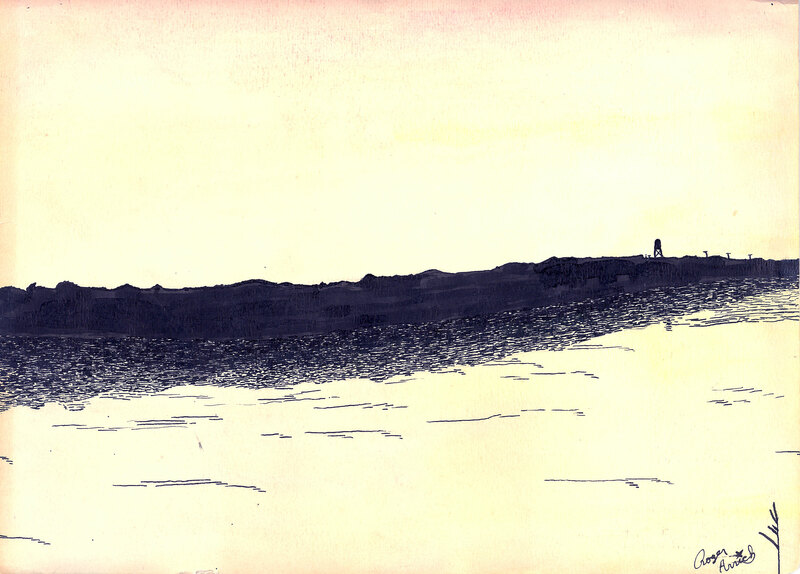 This one is in a frame and too big to scan, so I took a photo. 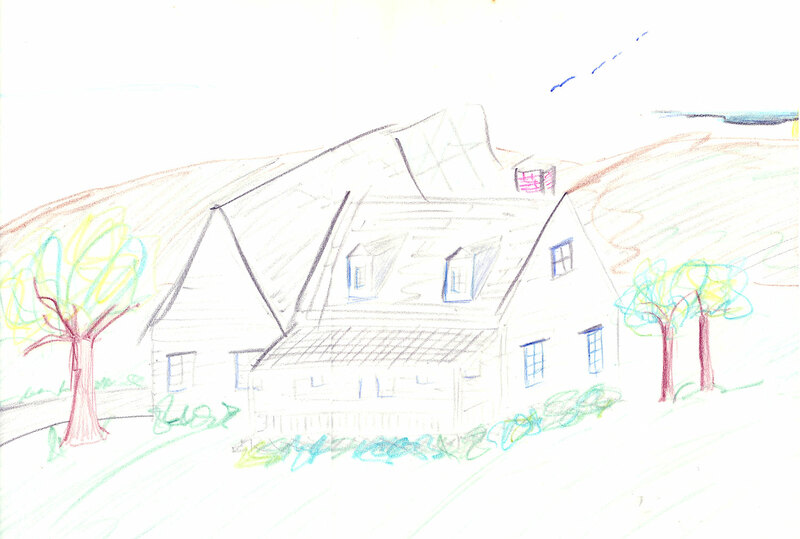 Back in the mid 80's I had a vivid dream of a house and got up and did a rough sketch to remember it by. It looks remarkably similar to the house we moved into in 2004 in Tyler. I don't have a clue why my brain dreamed this up. It's modern - 2005-ish. Ideas for a micro-house design I'm working on. Something I did when TV commercials irritated me enough to turn it off. 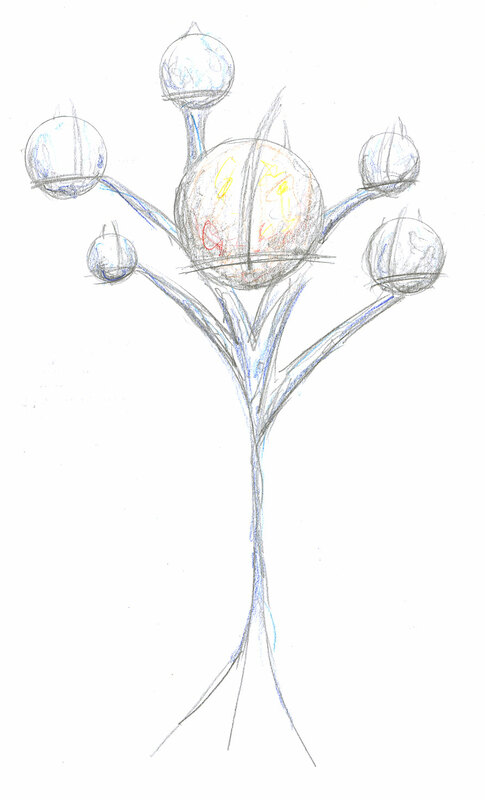 This is a typical technical rough sketch I do. 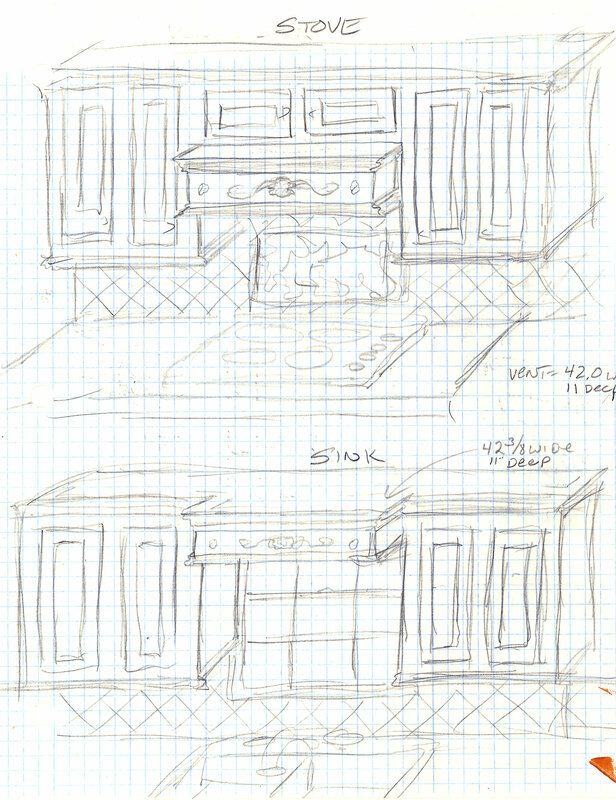 I drew this to help Margo visualize what the kitchen cabinets were going to look like.